Represent your alma mater in style. 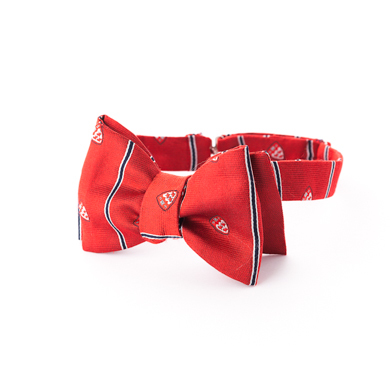 The McGill bow tie's easy clip and adjustable length give you perfect style in seconds. Signature McGill weave in pure Italian silk features the University's crest and fine craftsmanship.